Fun Times in the Spare Time! 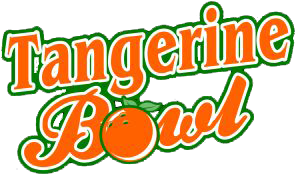 Let the Tangerine Bowl be the host of your next party or event! The Tangerine Bowl has a large banquet facility located in the lower level of the Tangerine, right as you walk in the front door. This space is equipped with a bar, tables and chairs, and sound system. The room can hold 150-175 people and can be arranged in many configurations to accommodate any type of event you are having. This room works great for rehearsal dinners, wedding receptions, graduation parties, corporate holiday parties, or any other gathering. The Tangerine will gladly cater your event or provide a bartender to make your event even better. Call us today to schedule your next event!